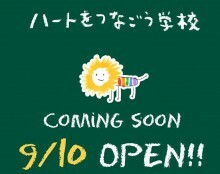 Japan’s version of the It Gets Better Project will go live on September 10, 2012. Why is this date so crucial to the curators of the international project? According to The Wall Street Journal: “[It] is the day of World Health Organization’s (WHO) World Suicide Prevention Day, and will aim to save as many sexual minority youth as possible by delivering our message that it’s OK,” said Fumino Sugiyama, a co-founder of the project.